The Concerto Ver2 phono stage embodies the newest thinking of YS-audio dedicated and enthusiastic technical design YS Chui . 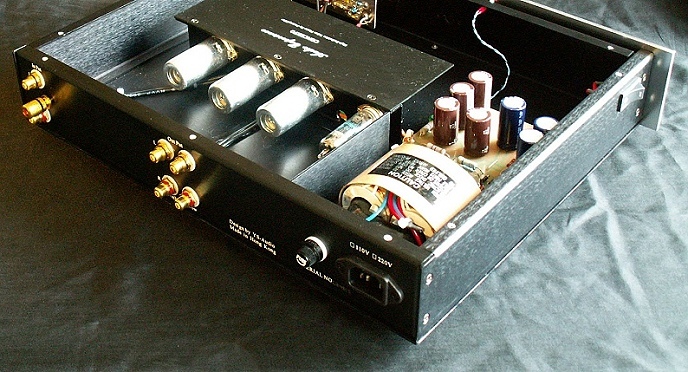 The unit has 47dB of gain, and, just as importantly, the Concerto boasts an low noise level, so in practical use, the 47dB gain is usable in systems with low overall sensitivity.The Concerto uses a 6X4 rectifier tube and a 12AX7 for the gain stage.The Concerto is design for the MM cartridge and High output MC cartridge. The input impedance is 47K ( accept order other impedance ).The Concerto all hand made by "point-to-point" . matches any other ultra-Fi products on the market . The phono stage made by Hand built " point to point " on YS-Audio factory. "point to point" has become more focused, the soundstage is deeper. Hand built by " point to point ' is very high cost of manufacture ! It has become very clean soundstage and saw the musical instrument hang up in the air. he 6X4 Tube rectification opens up the soundstage and allows the music to "bloom". electronic haze that can be perceived as a highly unnatural noise or grain. harmonic completeness and does not allow the individual notes to rise and decay naturally. RIAA , London ffrr , Columbia , SP. The SP EQ for EU 2 Single-Play.